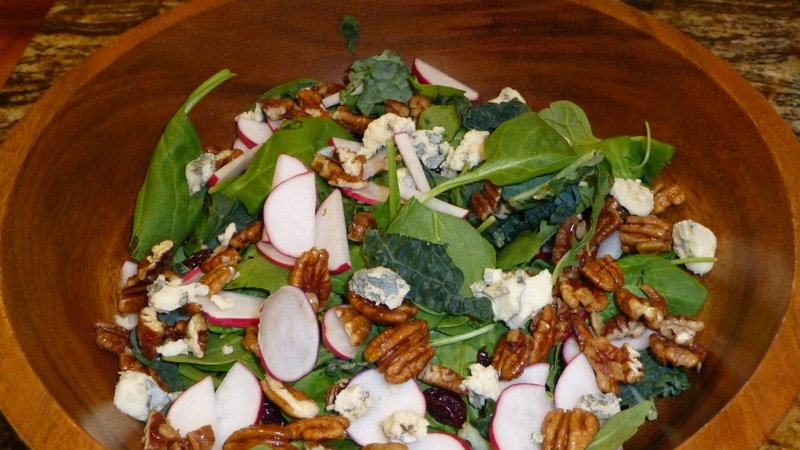 I can’t say enough about salads — especially those with nuts and … cheese. Yes, there I said it again. Cheese. I don’t have cheese very often but this salad called for blue cheese and I thought I’d try this Arugula Salad with Orange Dressing. This was so delicious but I have to confess that I changed the recipe up a bit. The original recipe for the salad calls for a pear and I didn’t have one handy so I left it out and replaced it with dried cranberries and radishes. For the dressing, I used olive oil instead of vegetable or canola to make it paleo friendly along with replacing the sugar with honey. The recipe you see below includes my changes. It was so delicious! The orange dressing ingredients make quite a bit so I’d half it next time or save some to use in another salad (remember to serve it on the side). 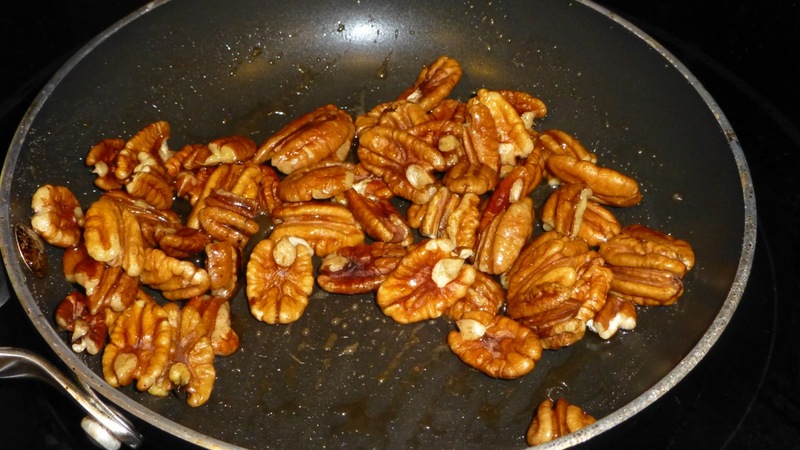 I used pecans and “candied” them. Click here to read how to do that the “paleo” way. So, here’s this easy salad recipe. Add all the salad ingredients together in a large bowl and toss to combine. 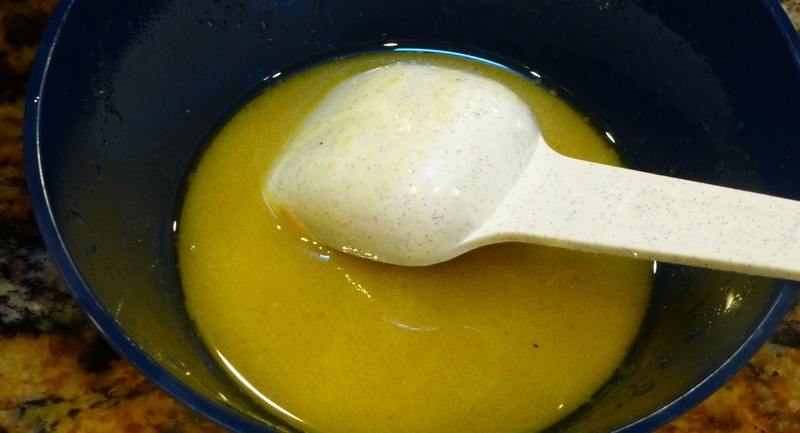 In a separate bowl, combine the dressing ingredients then serve the dressing on the side. Whala! There you have it — easy, delicious and healthy!